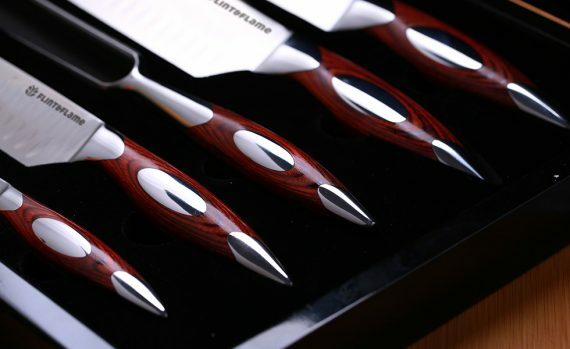 An elegant set of knives perfect for the Gourmet. Slightly larger than most it will tackle all types of joints, roasted poultry, fowl and even a hog roast. The larger blade means less sawing and less scoring on your topside joint as you slice it. 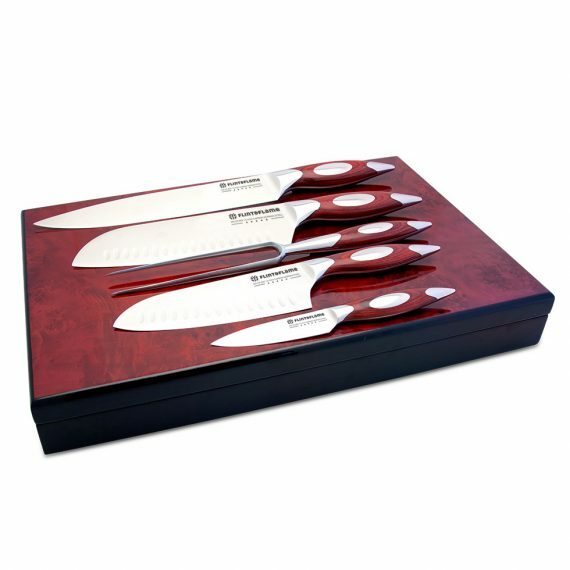 It has a razor sharp point so it is ideal for boned or boneless joints. 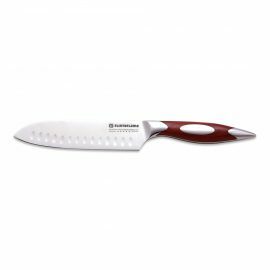 A very useful vegetable knife and a must for every kitchen, being a short blade it is perfectly designed for peeling your potatoes, stringing your runner beans and ideal for tailing your sprouts. 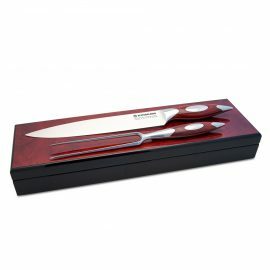 A light and swift blade, you can chop the whole length of the blade due to its flatter design, with a razor sharp heel it is amazing for fine sliced ginger, spring onions and herbs. It features a wide blade making scooping or crushing a joy. It’s bevelled edge prevents food sticking to the blade and hindering your next chop. 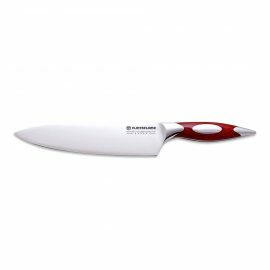 A fantastic Japanese style chef knife that will tackle most jobs in the kitchen. The 8-inch blade is the bigger brother of the two, and being that little bit bigger, it will do a little bit more of the work for you. A better tool suited for you large cabbages or swedes and squashes. 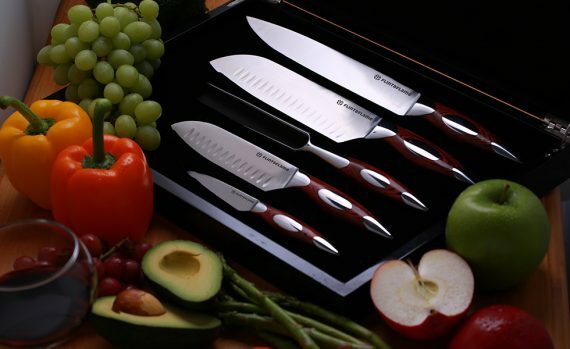 Having a longer blade means you saw at your food less, less strokes = less work. A great all-rounder. They come with an elegant wooden gift box to make them the perfect gift for someone special. 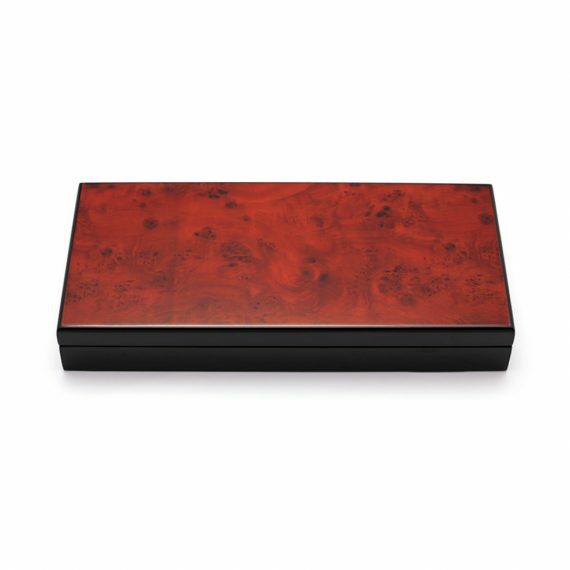 £325.00Add to basketAdded to cart! £195.00Add to basketAdded to cart!